At TNA we are fully committed to delivering the highest quality products by researching the best raw materials, processes and equipment. We want to be sure our products are up to safety standards but also up to performance standards. Therefore in 2017 we met with Mr Glen Hooper, a native from New Zealand who has lived in Asia and has owned his own marketing research company for over 20 years. Mr Hooper now lives in Khao Kho, Phetchabun Province, Thailand. 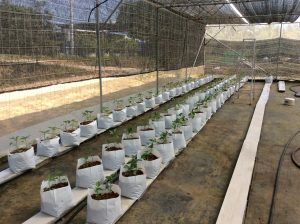 He has several tropical greenhouses, farmland and orchards now to grow and sell ornamental flowers for the Asian markets with his company: Khao Kho Exotics. 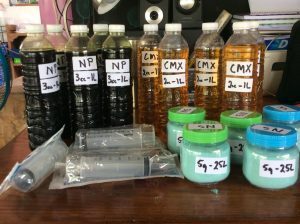 We soon realized that our organisations could mutually benefit from a partnership, TNA supplies specialized formulations for Khao Kho Exotic ornamental flowers, and Mr Hooper could use his vast experience in research and analysis to perform product tests and trial fields for TNA. Thus opening and operating our very own TNA Research & Trial Center. We have successfully performed several trials which are available on this website, and we will continue to show the real results from TNA products in an actual farmer environment.